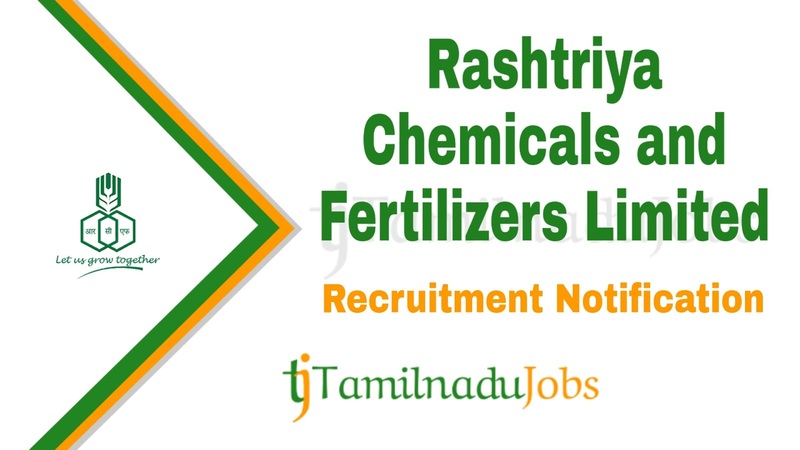 RCFL Recruitment 2019: Good news for the Aspirants looking for Central Government jobs, now Rashtriya Chemicals and Fertilizers Limited (RCFL) published an official notification for 50 post to fill the Operator Trainee, work in any Unit / Area / Place situated in India / abroad under the control of Rashtriya Chemicals and Fertilizers Limited (RCFL) or in any Joint Venture / Associate / Subsidiary company of Rashtriya Chemicals and Fertilizers Limited (RCFL). Candidates must go through the official RCFL recruitment notification thoroughly before apply for Operator Trainee post. RCFL Operator Trainee job application is collected through Online mode only. In the recent Recruitment Notification, the following vacancy details given by the Rashtriya Chemicals and Fertilizers Limited (RCFL) and aspirants should go through the vacancy details and eligibility details for more detail in RCFL notification link given below before applying. 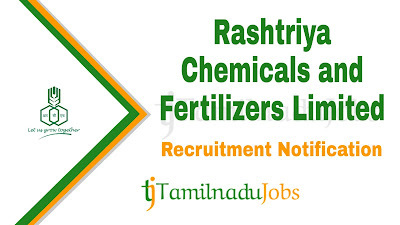 Aspirants meet the education qualification of Rashtriya Chemicals and Fertilizers Limited (RCFL) only apply for the Operator Trainee job. RCFL notification 2019, education qualification are given below. Operator Trainee Full time and Regular B.Sc. (Chemistry) Degree with Physics as one of the subjects during any of the 3 years course of B.Sc. Degree and NCVT in the AO (CP) trade. The candidates should have secured minimum 55% marks in last year (or Average/ Aggregate of last two semesters) of B.Sc. (Chemistry) Degree Course (50% for SC/ST category candidates). The NCVT in AO(CP) Trade is necessarily be completed after passing of B.Sc. (Chemistry) Degree. Full time and Regular Three Year Diploma in Chemical Engineering/ Technology with 55% marks in last year (or Average/Aggregate of last two semesters) of the Diploma Course (50% for SC/ ST category candidates) having completed one-year training (BOAT) under the Apprentices Act-1961 (Amendment 1973). 04 years’ full time and Regular Diploma in Chemical Engineering/ Technology with 55% marks in last year (or Average/ Aggregate of last two semesters) of the Diploma Course (50% for SC/ ST category candidates) under Sandwich Pattern (04-year course including one-year industrial training). Aspirants who want to apply for RCFL Operator Trainee 2019, must attain the following age limits given by Rashtriya Chemicals and Fertilizers Limited (RCFL). The application fees for Rashtriya Chemicals and Fertilizers Limited (RCFL) Operator Trainee 2019 differ according to various categories. The application fees details for RCFL Operator Trainee given below. Rashtriya Chemicals and Fertilizers Limited (RCFL) is announced the recruitment for the Operator Trainee to full fill their 50 posts. The Hostel Accommodation free of cost will be provided to them during the training period and Medical facility for self will be provided. Aspirants have to pass the following selection process given by Rashtriya Chemicals and Fertilizers Limited (RCFL) to get Operator Trainee job. For more detail and correct information check in the official notification of RCFL. How to Apply RCFL Operator Trainee 2019? Step 3: Fill the details required by RCFL in the form. Step 5: Before submitting the application for Operator Trainee, check the details are correct, then press submit and pay the application fee.